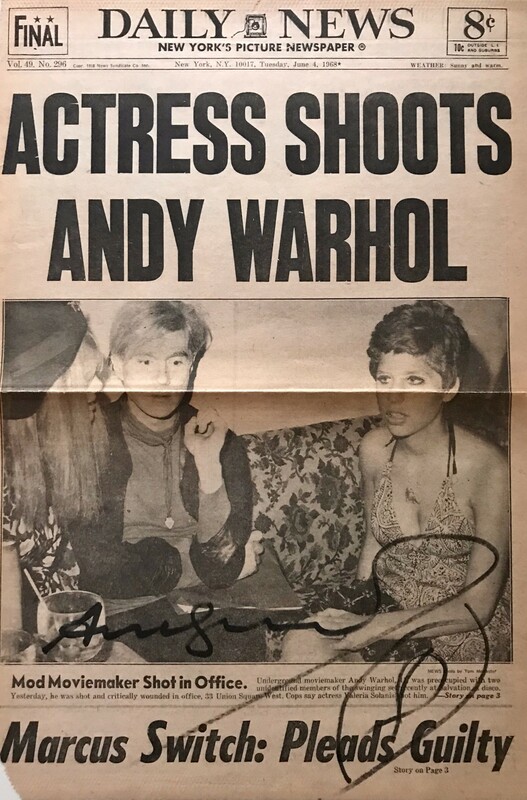 Original frontage of Daily News - June 4 th, 1968. 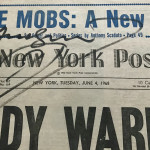 Signed and with drawing. 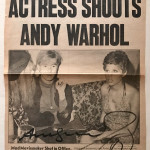 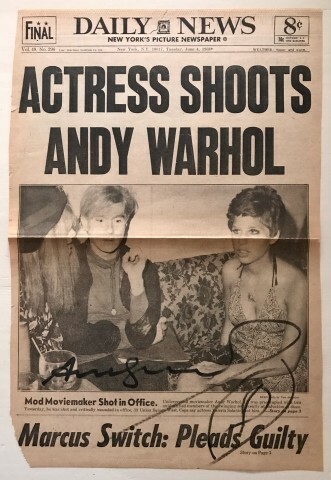 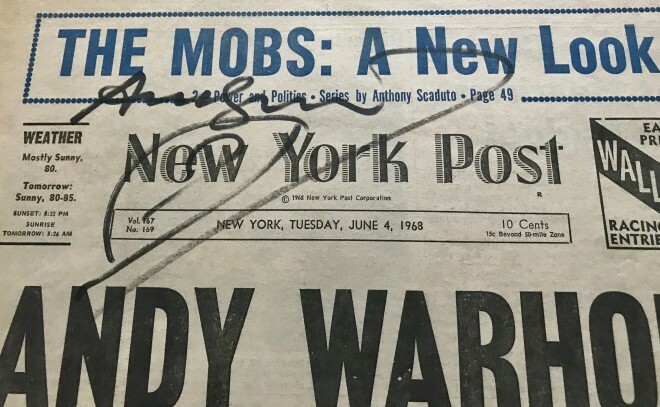 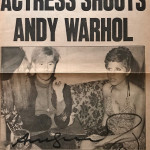 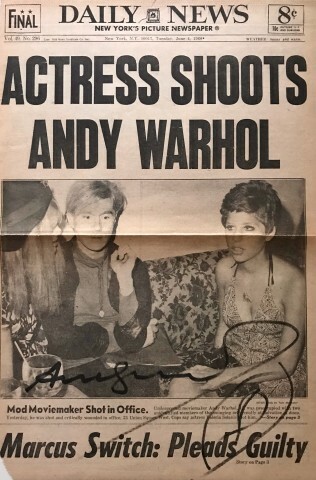 Original frontpage of "Daily News" June 4th 1968 - signed by Andy Warhol around 1978.